SSSC bases all of its sensor solutions on sound scientific foundations to ensure an effective end-to-end solution. 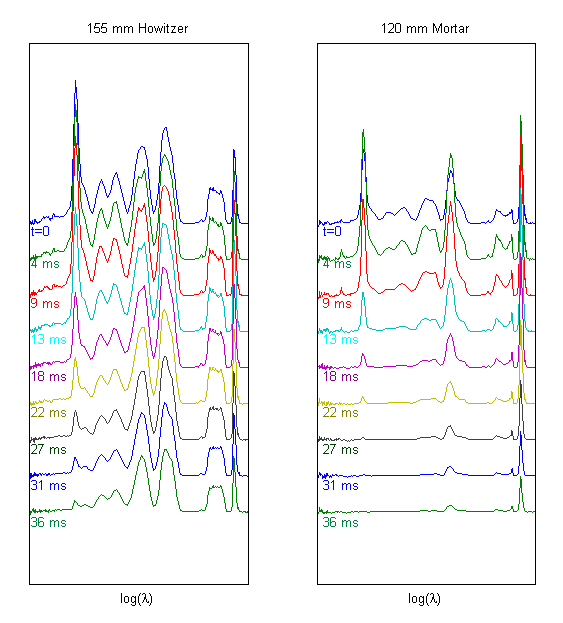 SSSC’s growing spectral-temporal library includes moderately-resolved spectra (10–80 nm) in the visible, NIR, SWIR, and MWIR, including how the spectra evolve over the duration of the event. From muzzle flashes from small arms and heavy machine guns to mortars and howitzers, and from rocket-propelled grenade plumes to long-range solid rocket boosters, SSSC’s Spectral-Temporal Library provides a solid foundation to solving our customers’ detection and discrimination needs.